Authored by Daniel and Karen Parolek, who are recognized as leaders in New Urbanism and as founding members of the board of directors of the Form-Based Codes Institute. Includes about 200 drawings illustrating form-based codes, making the concept easy to understand for all audiences. 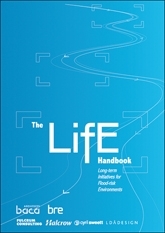 The only book specifically on form-based codes, with a high degree of detail and specificity. Form-based codes primarily regulate the physical form of buildings and reinforce a framwork of streets, blocks, and public spaces. 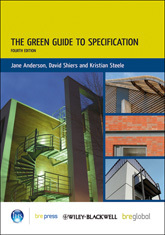 Includes case studies of projects by leading urban designers and architects from across the United States. Foreword(s). Preface: Expecting More From Zoning. Chapter 1: Introduction. Form-Based Codes Defined. The Trouble With Conventional Zoning. Chapter 2: Components. The Regulating Plan. Block Standards. Public Space Standards. Building Form Standards. Frontage Type Standards. Building Type Standards. Architectural Standards. Code Administration. Chapter 3: Process. Pre-Phase 1: Scoping. Phase 1: Documenting. 1.1 Macro Scale. 1.2 Micro Scale. Phase 2: Visioning. 2.1 Illustrative Plan and Imagery. 2.2 Regulating Plan and Regulations. Phase 3: Assembling. 3.1 Splicing. 3.2 Formatting. Chapter 4: Case Studies. Santa Ana Renaissance Specific Plan (Santa Ana, California). Downtown Master Plan and FBC (Benicia, California). Miami 21 SmartCode (Miami, Florida). Development Code Update and FBC (Grass Valley, California). TOD SmartCode (Leander, Texas). Heart of Peoria Land Development Code (Peoria, Illinois). FBC for Mixed-Use Infill (Sarasota County, Florida). Towns, Villages, Countryside (St. Lucie County, Florida). Ventura, California. Montgomery, Alabama. Chapter 5: Supplemental Material. Timeline. Common Mistakes. Bibliography and References.